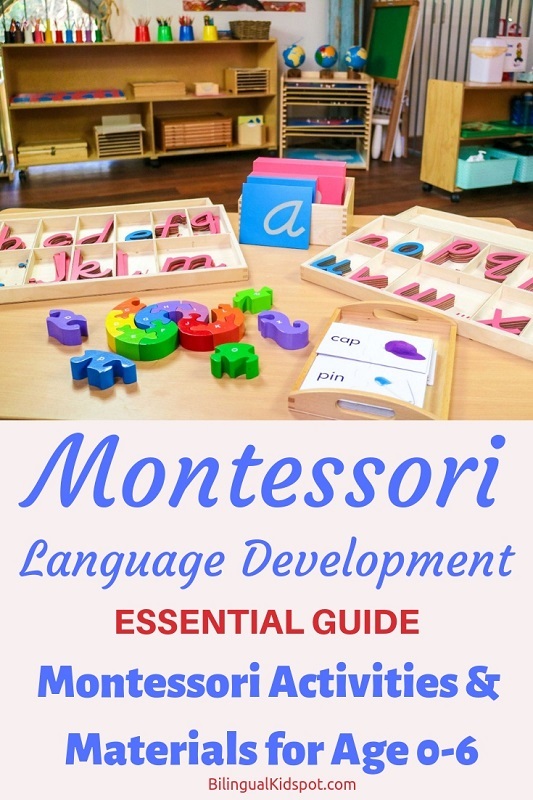 Montessori Language: Your guide to the Montessori philosophy on language development and information on the language component of the Montessori Curriculum. 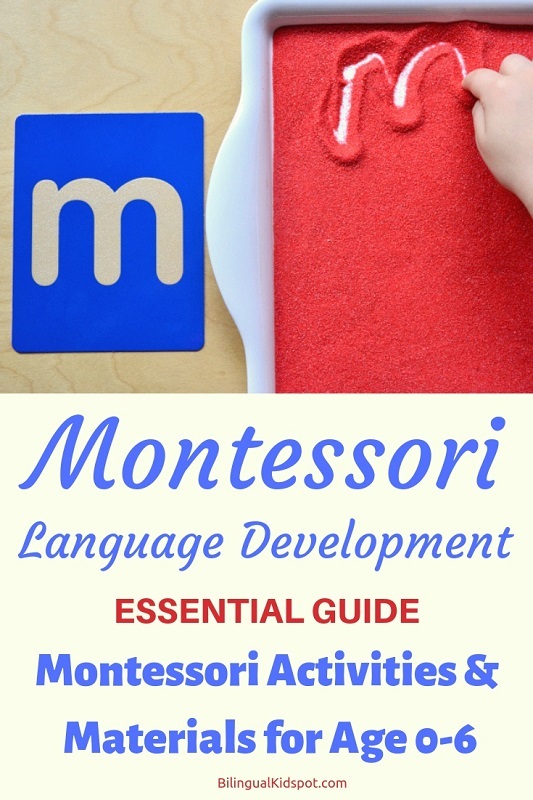 Here you can Montessori language activities for all ages from babies, toddlers, and pre-schoolers, and recommended Montessori language materials to aid in children’s’ language development. 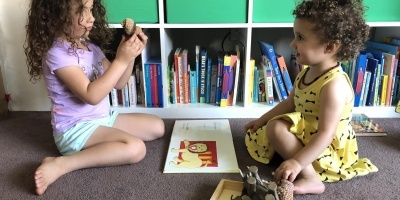 If you are familiar with Montessori, you will know that as parents and educators, we play an important role in preparing the environment to encourage a child’s natural language development. Though the Montessori philosophy is about “following the child”, a fair bit of guidance is needed from parents and educators. *This post may contain affiliate links, more info here. The Montessori Curriculum is built around “sensitive periods”. A time when children absorb information from their surroundings with little effort. During these periods their development will suddenly take a huge leap forward. Maria Montessori believed that the initial six years of a child’s life are crucial for a child’s development. This explains why it’s so easy for young children to learn a second language. It’s much more difficult for older children and adults to learn a new language because they are no longer subconsciously absorbing the information. The short length of this period means that early language learning is vital to give your child the very best start in life. The Montessori language curriculum teaches writing before reading. If you are totally new to Montessori, this concept may be hard to understand. Mainstream education usually focuses on reading before or alongside developing writing skills. The reason Montessori does this differently (and very successfully) is better understood when you know how Montessori children learn to write. Children are shown single, lower case, letters at a time. The teacher sounds the letter out as they show the child. Then the child is encouraged to trace the shape of the letter with the fingers. The adult continues to sound out the letter for the child. They feel the shape of the letter. This multi sensorial approach is vital. 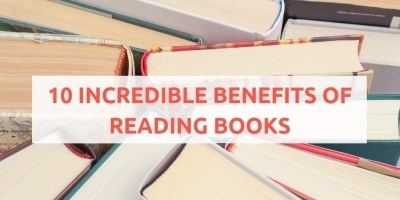 Seeing and hearing the letter naturally leads to reading. Feeling and tracing the shape of the letters will become writing skills. So how exactly do we teach the Montessori language curriculum? Different Montessori language lessons have different presentations by the adult. Most of these follow the same important format of the three period lesson. Each part of the lesson focuses on a different level of the child’s understanding and it’s important not to skip steps and that you give lessons in the right order. Period one is the introduction of the item. Present the material to the child and say “This is the dog/car etc” Then always hand the item to the child to touch themselves and place on the table. Period two is recognition of the item. After presenting the item, naming it and handing it to the child a few times try saying “show me the cat/bus etc” If they point to the wrong one be sure not to correct them or say no. Instead say something like “you found the dog” and be sure to go back to the first period. One thing to remember is not to move onto the next step until you are sure the child is ready. This knocks confidence and they’ll second guess their answers. Change the items when your child has mastered recalling it but be sure to leave a mix of new and already learned items. When you ask a child to recall something that you’re sure they know well it builds their confidence. As children age and their skills develop you will need different materials to keep them interested. The Montessori language curriculum has different levels of materials. Here’s a quick breakdown. Pink materials introduce phonetic words of 2 to 3 letters with the easily readable consonant, vowel, consonant structure e.g cat, dog, car. Blue materials use longer phonetic words of 4 or more letters. They contain consonant blends e.g desk, gift. Language skills develop right from birth despite a babies inability to vocalise. They have a keen interest in language and noises all throughout their first year. You may notice your baby watches you closely when you talk to them. At this stage they are trying to understand how your mouth moves in relation to the words. They will try to copy the movements your mouth makes, opening theirs too or sticking out their tongues. These are their very first attempts at trying to master language. As they get older they start to make noises of their own and figure out how those noises fit together. You might even get a sudden explosive, almost shout when they try incredibly hard to get a sound out and be heard. At this age there is no real need for fancy language materials, although reading and singing aloud to your child is a benefit at any age. During this time the most important “material” in their environment is the adult! There are heaps of things you can do to encourage language development at this age, here are few great ideas. Make sure baby can see your mouth when you talk to them. Speak clearly and don’t use baby language or dumb down your conversation. Just keep talking!! Explain everything you’re doing and chat to them constantly “Let’s change your nappy now, ok lifting your legs up, time to get clean” etc. At first you might feel a little silly but eventually you’ll be chatting to them as you walk around the supermarket without a second thought. Singing and reading aloud to your baby are a great habit to get into as early as possible to help nurture a love of music and books later on. The toddler stage in language development is fascinating! First just 1 word, then another, then 2 more, then 10, then 20 and so on and so on. It’s like an avalanche of words that just seem to keep endlessly coming. Some children may take longer than others and that’s ok. Don’t put pressure on them to talk if they’re not ready. My daughter is 18 months and, although she vocalises, her words are still unclear. I know for sure that she understands which words she needs though as she will always point to the right thing when I give her words at random or ask her to go fetch things. This is the start to enrichment of vocabulary stage where your child wants to know the words for everything around them. Be sure to be patient and name everything they point to even if it gets repetitive. Sensory development will help to drive language learning so be sure to give your child lots of opportunities to feel and touch everything you name. Don’t just consider activities that help actually develop oral skills. Think about tasks that can help your toddler develop that crucial “pincer grip”. These fine motor skills are a vital part of learning to write which then leads to reading so don’t overlook these skills. Books with large, clear pictures work great. Allow your toddler to point and you name everything. Eventually move to the second period and if child shows readiness third period. Bead stringing is great for developing fine motor skills. Transferring beads from one container to another with small tongs is helpful too. You can find a range of Montessori beads HERE. Matching cards and figures activities is a great Montessori language activity. Begin with exact matches then move to slightly different i.e a model of a German Sheppard matching to a photo card of a Labrador. This teaches that both are “dog” even though they look slightly different. You can find these Montessori Activity cards HERE. This is the stage where you may find your child is ready to learn some writing skills. Some toddlers want to do this early and others it take a little longer. Let your main focus still be enrichment of vocabulary but just be observant and follow the child’s lead. You can also begin to introduce pink language materials if your child is ready. Just be sure to stick to these short 3 letter words with the format c-v-c. 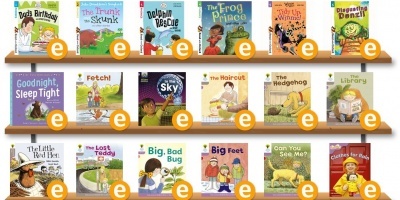 The English language is not straight forward and this is the best way to introduce sounds so your child can recognise them easily when they come to reading. At this age your child will start to recognise the sounds and you may be able to start some simple categorising. For example they will start to understand car, cow and cat all have the same beginning sound. Try to put emphasis on the c as you say the words together to really drive this idea home. Sandpaper letters are an extremely useful activity to do with this age. Be sure to let the child see the letter, trace it with their fingers and you say the sound so they are having a multi sensory experience! Find a range of sandpaper letters HERE. Another great Montessori language activity is tracing letters in sand or drawing them on a chalkboard is a great thing for children to try. The fact that the “writing” they have done isn’t permanent and can be brushed away or wiped from the board is great. Children don’t need to worry if they make a mistake like they would when writing a letter with a crayon on paper which can’t be erased and redone so easily. Vocabulary enrichment continues as it has in previous years. Now your child will have a definite interest in language learning though. Much more of an emphasis can be placed on writing skills and then reading skills as your child develops. Introduce phonetics and more complicated words once your child appears to be mastering the pink materials easily. It’s always a good idea to keep a few of the earlier materials around though as going back to these can boost confidence when they’re struggling with the more advanced. Learning these more complicated sounds is much easier for a Montessori child. In a more mainstream setting children are just bombarded with words to memorise without first knowing the basics of the sounds. A smooth transition from writing and spelling to reading simple words will naturally occur. Then the transition from reading those single words to full sentences can begin anywhere from age 4 to 6. As always there is no set age when your child has to reach these milestones though. Just be observant and you’ll see they are progressing at their own pace. Moveable alphabets or magnetic letters have a huge range of uses from categorising sounds to spelling out simple words. I actually love this magnetic calendar to get kids into a routine of helping you spell out the day of the week etc. It’s a wonderful but slightly different way of getting them developing their language without even realising it. The Best Way to Encourage Language Development following Montessori?? Get down on their level and have grown up conversations with them. Include them in everything you do, but don’t do everything for them. The hardest pill to swallow is that your child can do things without you. As loving parents, we want so much to jump in and help and we hate seeing our children struggle. As always, the most difficult thing in Montessori is teaching ourselves to trust our child and simply be there if they ask for help. 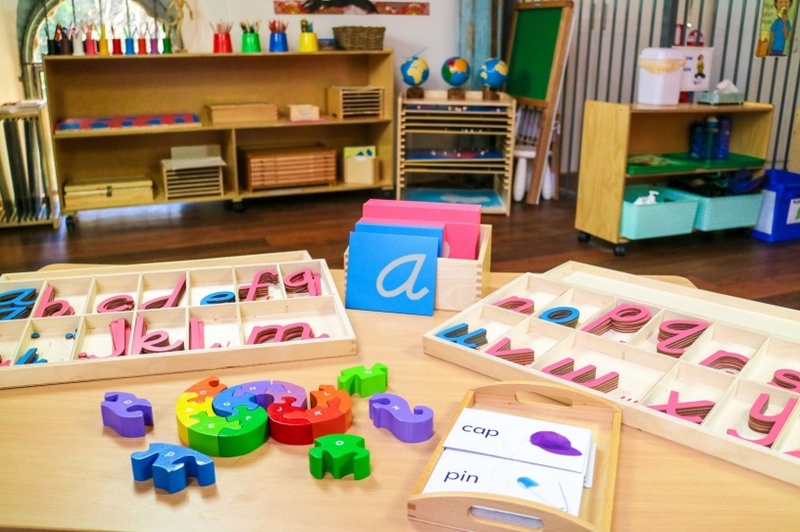 Though these Montessori language activities, and Montessori language materials are a great addition to your child’s language development, YOU are your child’s greatest language material throughout their early years. Author: Sophie is the author Remote Rainforest Mum. She is a young mum living in an isolated Indigenous Australian community and works for a charity managing a Montessori toddler program. Sophie’s blog is all about making Montessori principles approachable and realistic for busy, everyday families. Follow her on her website or Pinterest for more inspiration.